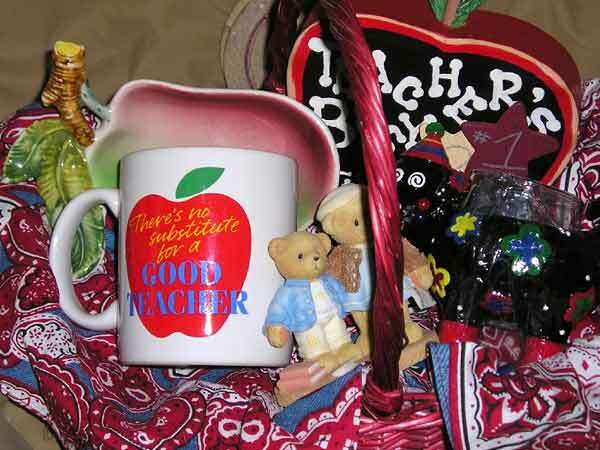 Find teacher appreciation crafts, handmade crafts for teacher and Teacher's Day craft projects here. Teachers are some of the most important people in children's life. We often do not acknowledge their significance in our lives. It is either during Teacher Appreciation Week or at the end of the school year that we remember to appreciate our teachers and show our gratitude for enhancing our wisdom. Nevertheless, one thing is for sure, that teachers deserve to be appreciated for the services they provide to their students, without demanding any return from them. Gifting something made by your hands to the special people in your life would definitely make their day. Teachers always prefer to receive handmade and thoughtful gifts. Crafts made by their students would make the teachers feel proud of their pupils. Moreover, the hand made gifts will be closer to their hearts than any other gift bought from the market. In our related section, we have included crafts for teachers that are easy and quick to make and are quite inexpensive. They make excellent Teacher's Day gifts. In fact, they are so easy that even small kids can make some of these gifts for their teachers. They can also be used as class projects by kids on different occasions. It is recommended that kids should always make these crafts under adult supervision. Celtic knot bookmark can be a fun activity for kids and provide them with the perfect gift, to give on birthdays, holidays and family reunions. The bookmark can have several intricate patterns. It is a simple craft, which is very easy to make and can be a fun craft for children. It has derived its name and is associated with Celts, who were ancient people having British and western European background.